To end polio, we must know where the virus is. 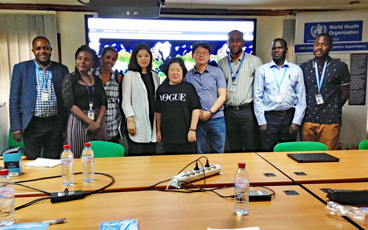 Disease surveillance for poliovirus is a unique and highly efficient system. As we get closer to eradication, we continue to improve the sensitivity of this already fine-tuned global system: only by finding every virus can we protect every child. Around 25 years ago, the Global Polio Eradication Initiative (GPEI) set up a unique global system to find every child with a form of paralysis known as acute flaccid paralysis (AFP). AFP symptoms are caused by a wide range of factors, including polio. Polio is an enterovirus (intestinal infection) and is excreted in an infected individual’s stool. Every child with AFP’s stool is tested; if poliovirus is found in the stool, it is a case of polio. The surveillance system is the sieve in which we sift all AFP cases; only polio cases pass through. 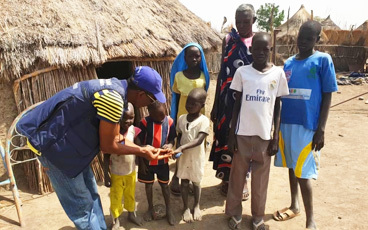 Of the more than 90,000 AFP cases found every year, over 99.9% of cases test negative for wild poliovirus, but that small number of cases where poliovirus is isolated give epidemiologists all the information they need to know that the virus is present in a particular area/population. Today, with polio on the brink of being eradicated, AFP caused by polio only occurs in a very small number of children each year. 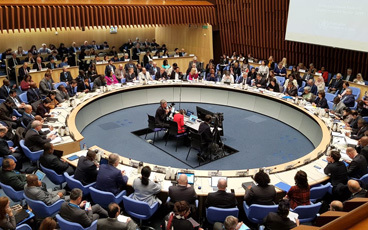 But not finding cases of polio-paralysis does not necessarily mean the virus has stopped circulating in a population; in fact, we must use an even finer sieve to find the virus – enter the global environmental surveillance system. polio-caused AFP cases. If poliovirus is circulating in a community, it will show up in their stool – and in their sewage. GPEI collects and analyses sewage samples in carefully selected places to test for the virus. With so few cases of polio across the world, this extra layer of sensitivity in disease surveillance is critical, as it is possible for people, including vaccinated individuals, to be healthy carriers of the virus and spread the virus without even knowing that they themselves are infected. A series of strategically designed protocols ensures that GPEI is testing in areas most likely to be harbouring the virus. This significantly increases the system’s reliability. 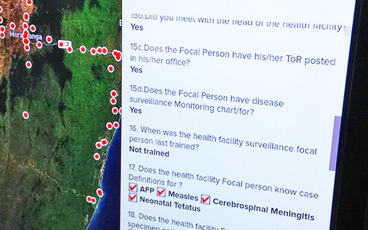 Site identification: Sampling sites are identified in areas where people from polio-infected areas are likely to go. These are often in urban, high-density population areas, with known cultural, social or economic ties to polio-infected areas. High-risk areas: High-risk areas are identified, often associated with large-scale population movements. These might include urban areas where season migrants congregate, and near camps for internally displaced persons. Analysis: The topography of the area is closely analysed to identify the physical ‘flow’ of the sewage. Timing: The most suitable time of day for sampling is identified. This is usually early in the morning, as this is often the most common time of day for children’s bowel movements. 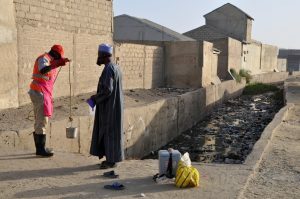 This type of environmental surveillance is now institutionalized in national emergency action plans of the remaining polio-endemic countries, and provides crucial additional evidence of how and where the virus is circulating in these countries. 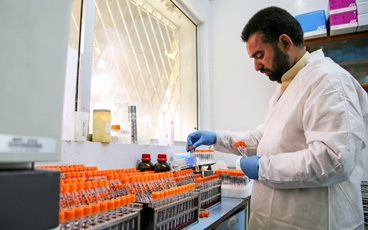 In Pakistan, for example, despite the fact that cases are only identified in a handful of areas, environmental surveillance regularly confirms the presence of poliovirus across the country, indicating that virus transmission remains geographically widespread. GPEI is taking steps to strengthen and adapt the system to work better with local infrastructure and operational limitations, and to evaluate new filtration systems and laboratory procedures for virus detection. 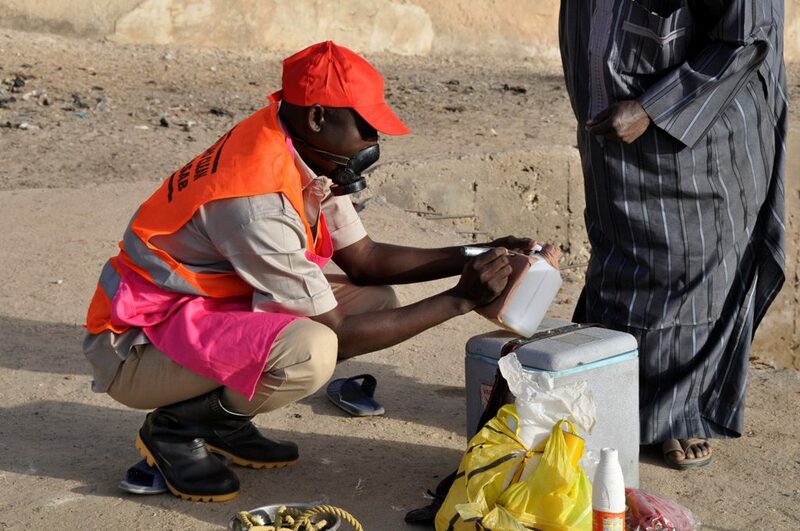 The strength of the global polio surveillance system is critical to the successful eradication of polio, but its value is not limited to one disease. This system regularly helps detect and enable rapid response to other epidemic-prone diseases, including SARS, avian influenza, measles, yellow fever, neonatal tetanus and Ebola.